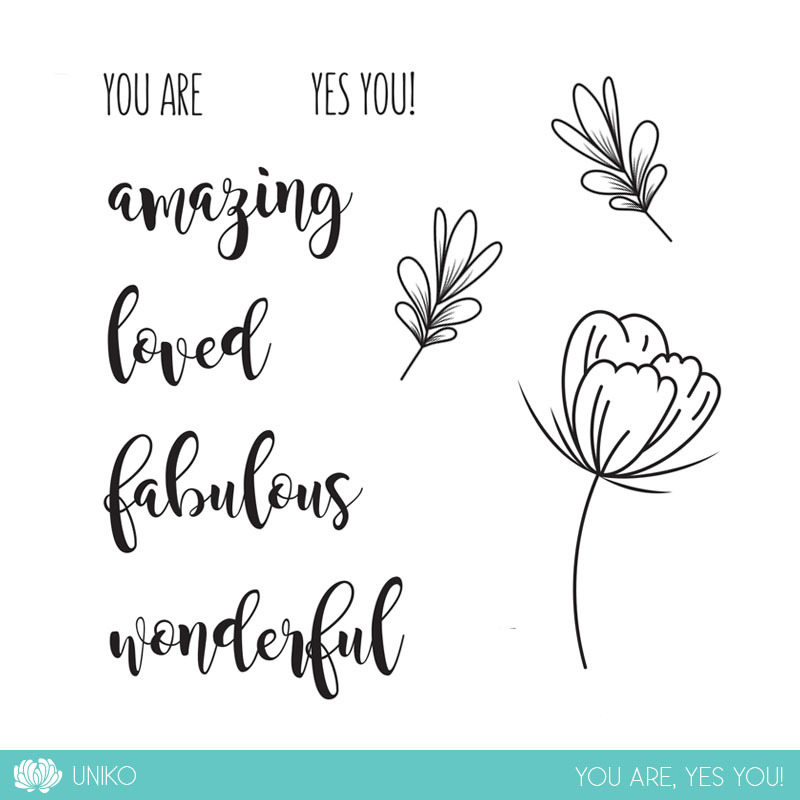 Happy Birthday Uniko & Woohoo! Finally the day has arrived and the 7th Birthday February 2019 Reveal, Blog Hop & GIVEAWAY is here! The Release will be available to purchase HERE at a NEW time of 9pm GMT tonight. Hopefully you have hopped on over from HERE, where I have shared a look at all the products & their prices! Did you see this though…? 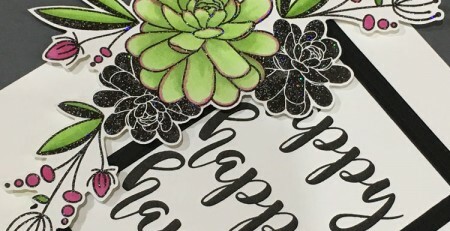 This little gem is a Release Day FREEBIE Clear Stamp Set, we introduced it in the blog hop yesterday HERE. This clear stamp set will be automatically added to release day orders of £25 or more up until Sunday 17th Feb 9pm GMT or while stock lasts. After 9pm GMT Sunday 17th February, if there is stock remaining it will be made available for purchase at £5. 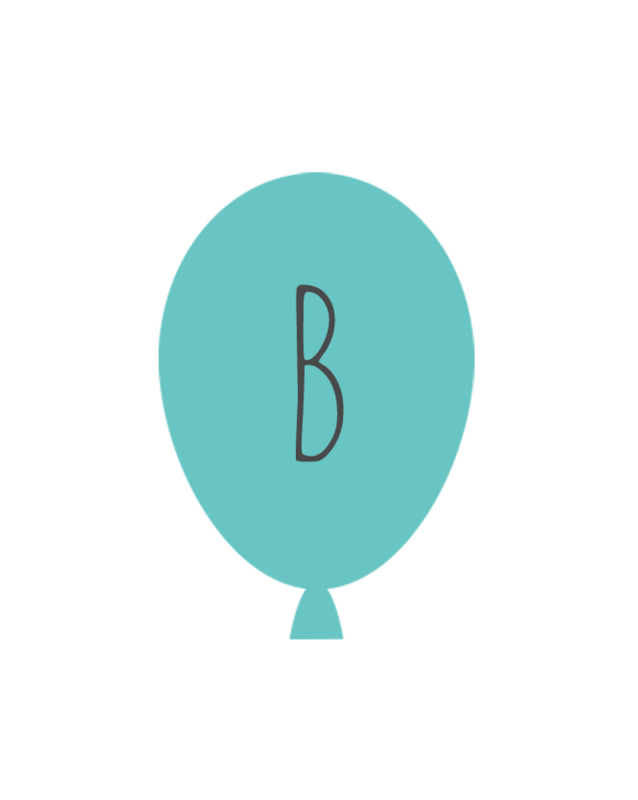 As it is our 7th Birthday Blog Hop I wanted to add a little more FUN to the blog hop and I have incorporated a Treasure Hunt! 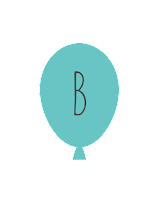 Hidden in photos along the blog hop are these letter balloon icons. Entries need to be emailed no later than Thursday 28th February 2019, for the winner to be announced Friday 1st March 2019 (winner will be randomly chosen from all the correct entries). The ENTIRE 7th Birthday February Release! 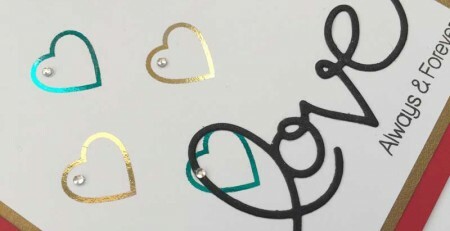 (6 clear stamp sets, 2 co-ordinating designer die collections & 1 stencil design). PLUS… I will still randomly select another winner! Be sure to comment along the hop for your chance to win ALL SIX Clear Stamp Sets!! 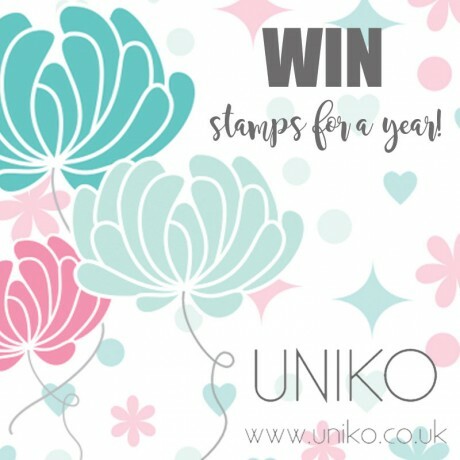 You have until Midnight (GMT) Thursday 28th February 2019 to comment and the winner will be announced with ALL the 7th Birthday February 2019 Winners. First up I decided to go for a more feminine card & opted to use Pantone’s colour of the year. I am partial to a bit of Coral and feel I haven’t embraced this years colour as much as I have wanted to ! 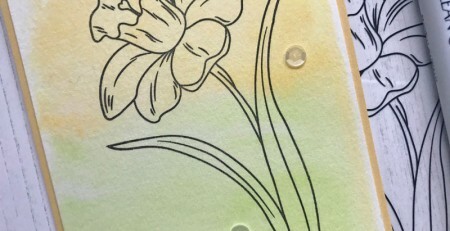 I have used Background Blocks Pinstripe and heat embossed it in white across my card base. 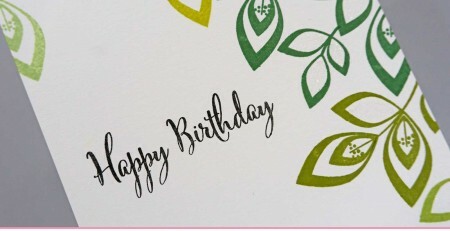 The sentiment in from Birthday Wishes and is also heat embossed. I added some white bakers twine and gloss white Nuvo Drops to finish. This is the ‘other’ two for the price of one technique cards, where I shared the first HERE on Day 1 of the introductions! 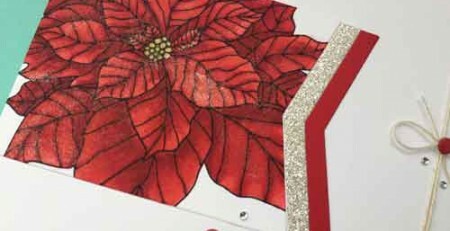 On this card I have done inlay die cutting with the ‘happy’ word die. I created a striped panel of coloured card (great way of using up all those scraps) on a thin piece of white card. I then die cut the ‘happy’ word die into this panel. As I was going through a couple of layers of card I went through my cutting machine a couple of times. 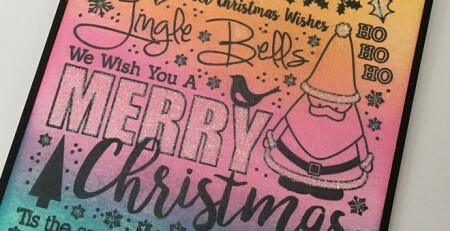 I set the striped happy aside and kept the inner parts of the a, p & p for this card. I then die cut another happy from a white card panel the same size of the striped panel (which was used to create the card I shared on Day 1) and inlayed it into this striped panel. Finally the word Birthday is stamped and heat embossed white and again I added my favourite gloss white Nuvo Drops to finish! Fabulous cards and I love this new release as they’re so versatile. 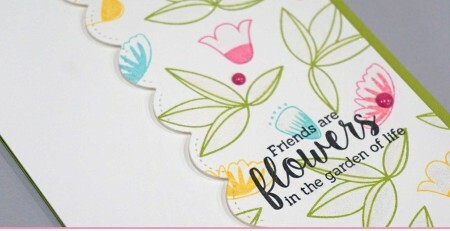 This is such a great release Bev, congrats on another winning set of stamps, stencils and dies. First of all: Congratulations on the 7 years and thank you so much for the chance to win so many wonderful prizes. These are two very beautiful cards you made. I love the big die cut lettering a lot! Loving your clean, bold cards! Nice work. Stunning , bold and unique as every Bev. Love your showcase! Wishing you lots of success and hope you have a busy week!!! LOL! 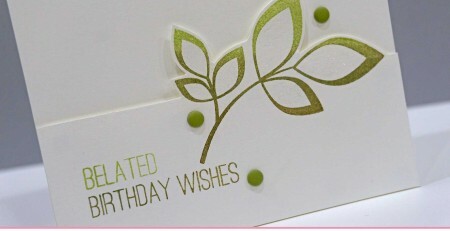 I love the simplicity and elegance of your first card, the Background Blocks are fab! I love your rainbow HAPPY CARD! These are both so fun and SIMPLE and SWEET! Gorgeous cards Bev, and a wonderful release!! Lovely cards and a beautiful set of goodies in this release. Seven years, congratulations! A fabulous release and your two cards are perfect for showing them off. Hope you had a very busy evening, sure this release will be a massive success. 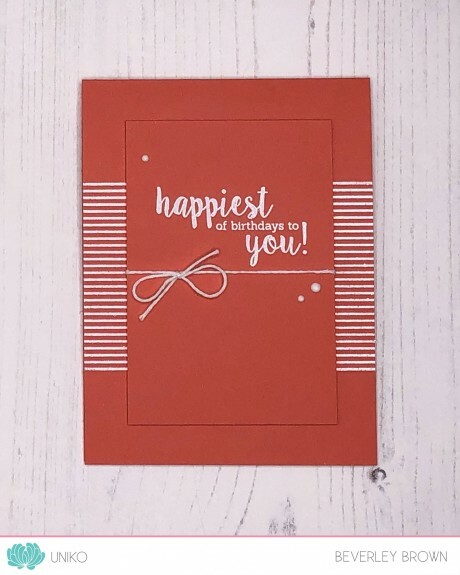 Great inspiration with your cards too. Wonderful cards as always Bev. I do like that background stamp white embossed! A great design for a male card too. 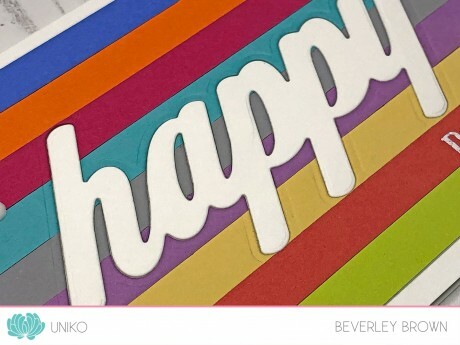 the bold happy and your striking snippets make for another fab card. I am sure you have put a lot of time and effort in to your stamp designs Bev and as always it pays off….a great release and showcased admirably by both you and your design team. CONGRATS!! Both beautiful cards! The one with pinstripes is really striking. Definitely fabulous! I love the Super CAS stripes one and another one with colorful rainbow!!! 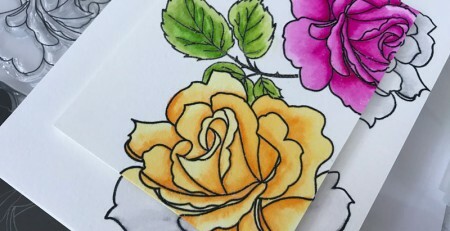 Beautiful cards Bev awesome new release ! Such pretty and happy cards! I love all the stripes – such a classic and beautiful design element. Both these cards are so gorgeous!!! Beautiful choice of colors!!! Congratulations on 7 years!!! This new release is so clever and creative! Thanks so much for sharing the wonderful inspiration! 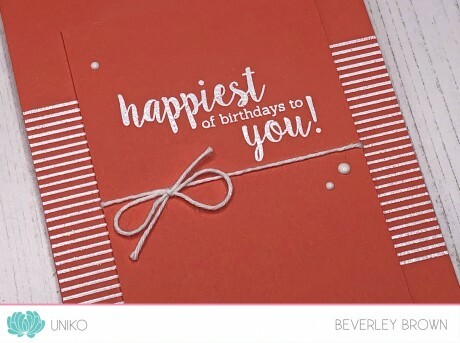 Love the first card – such a great design with those embossing lines! Another round of lovely cards to showcase this ultra-fabulous release! The rainbows are having an impact: mega watt smiles happening! Congrats on 7 years! Enjoying all the creations along the hop, and having fun collecting the letters for the puzzle! Such FUN cards! And FABULOUS release! Yay for 7 years!! This red card with those pinstripes.. will remain in my memory for a long time. What a stunner yet understated. Birthday wishes are amazing set to own. Both your cards are so lovely Beverley! 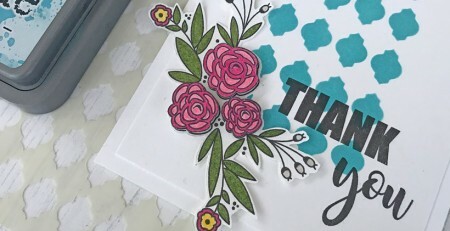 Wonderful release, cards and I enjoyed the blog hop. 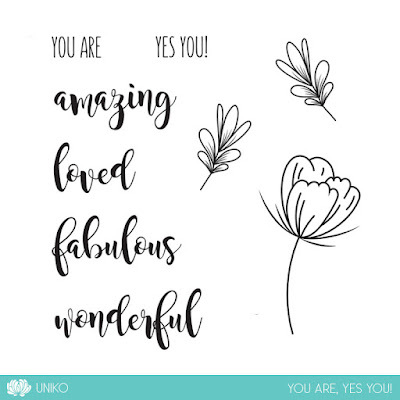 Fabulous projects you have made. Love the new stamps/die sets. I love your rainbow card, it is amazing!